Over 40 years in the industry has made First Fleet Truck Sales a construction equipment staple. Utilizing relationships from all over the world, First Fleet Truck Sales is able to locate any hard-to-find equipment, built to specifications, and delivered on time to any part of the world. 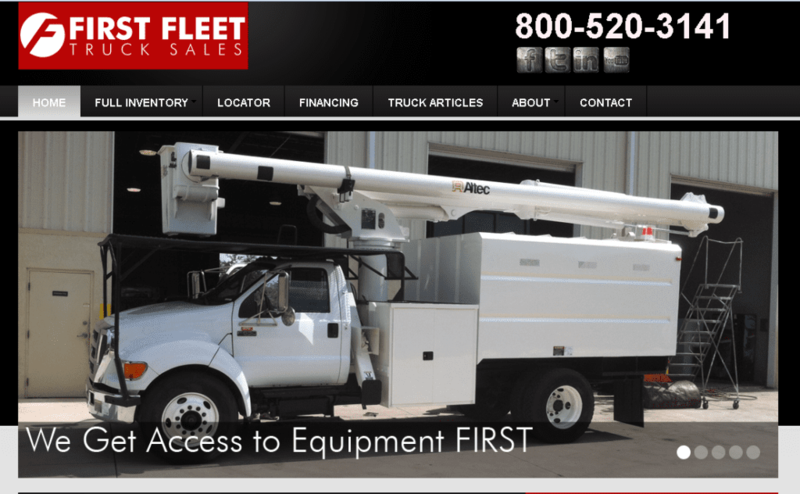 First Fleet Truck Sales works heavily with state governments and utility companies. “First Fleet will always be thankful to Web Unlimited for all of the marketing guidance and assistance. We’ve been looking for the right firm for some time and after so many setbacks, it’s nice to finally arrive at a firm that is capable and proven. If you’re not with them you’re missing out on potential money.